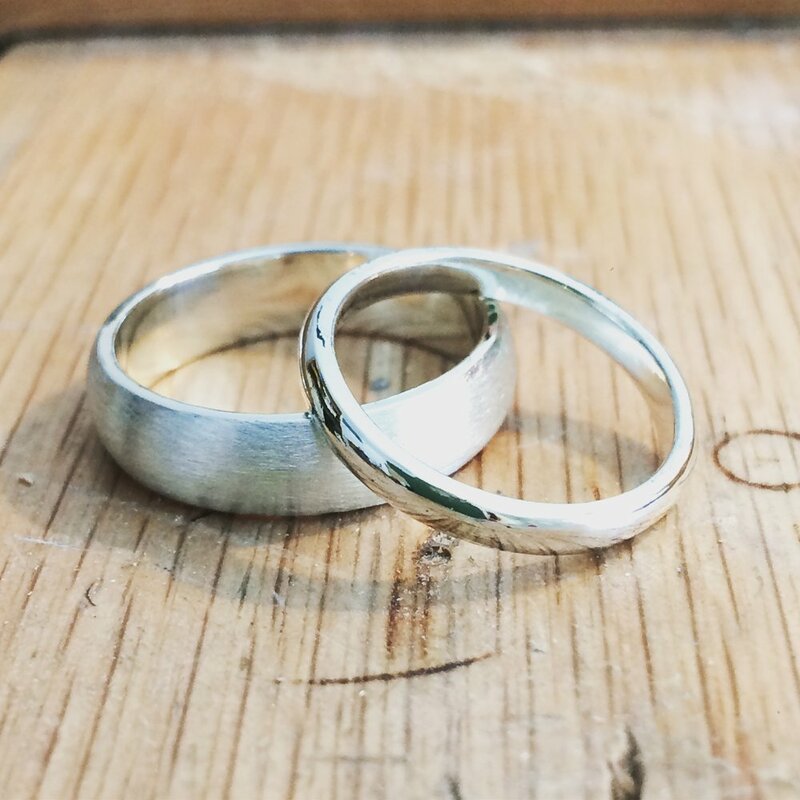 Sam and Crystal got married in magical New York with their bespoke Recycled White Gold Wedding Bands. I was so excited when they sent their fabulous photos through to me. They both look absolutely gorgeous, and I just love the photo of their wedding bands laid out on the iconic New York times! Crystal and Sam are both busy active ladies and needed bands that were both beautiful and practical. Both bands are D-Shaped for a nice comfy fit with contrasting finishes. Crystals band is the narrower of the two, with a super high polished shiny finish, where as Sams ring is wider with a cool dreamy matt finish.